Join us as we honor LGBT trailblazers in L.A. 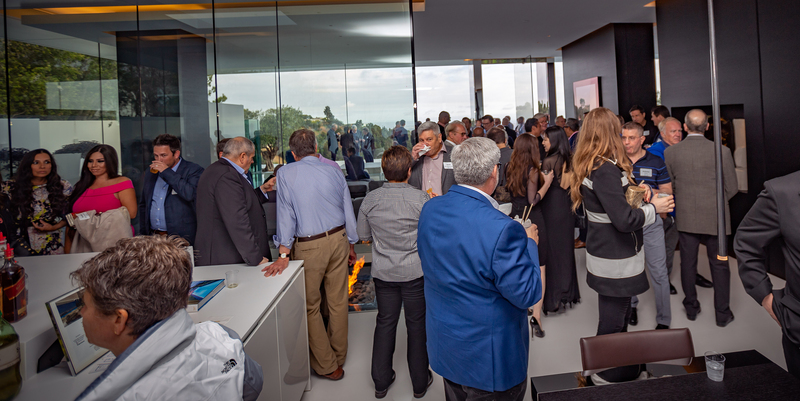 Enjoy drinks and hors d’oeuvres with SAGE supporters with SAGE supporters at the home of Kathleen Garfield, near the Getty Center in Los Angeles, to celebrate local LGBT trailblazers. Kathleen’s Brentwood home offers a vast collection of artwork, primarily composed of works by Los Angeles area artists from the early 1950s through the 1990s. At the reception, SAGE CEO Michael Adams will share updates from our work in Southern California and nationwide. Your attendance also helps SAGE’s work, assuring that our LGBT elders can continue to thrive. In the current political climate, LGBT older Americans are at risk of losing some of their hard-fought rights. As the leading organization advocating with and providing services to LGBT older adults, SAGE stands proudly with our LGBT pioneers—the people who have been fighting for decades for their right to live with dignity and respect. 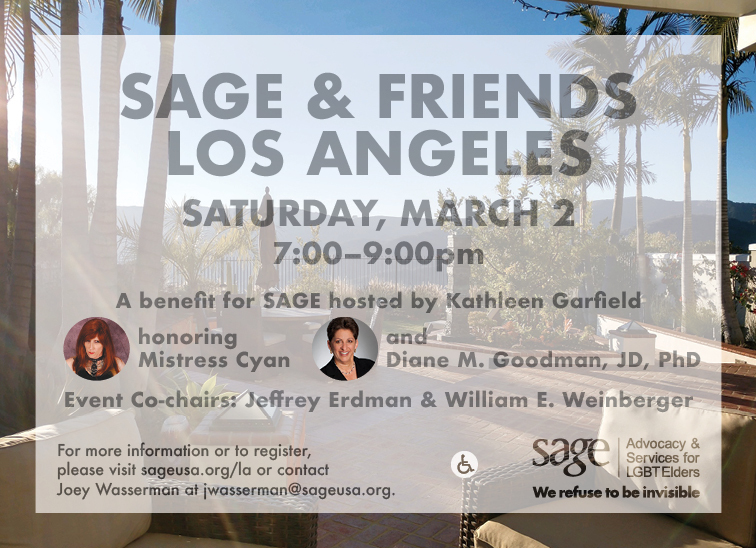 The proceeds of SAGE & Friends Los Angeles are essential to SAGE’s ability to meet the increasing demand for services and advocacy for LGBT older adults. Purchase sponsorships for SAGE & Friends Los Angeles. At the home of Kathleen Garfield.